For a change of pace from our ship plans, we've put up construction drawings for the R-class sloop Pirate. 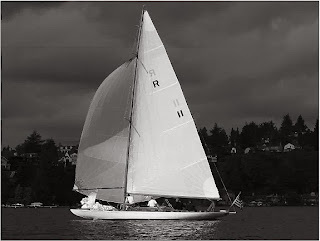 Presently owned by The Center for Wooden Boats, R-boat Pirate is the best existing example of the R-class yachts. Constructed in 1926 by Lake Union Dry Dock of Seattle, Washington, from plans by L.E. “Ted” Geary, Pirate embodies the pinnacle of yacht design and construction in the Seattle area in the early 20th century.